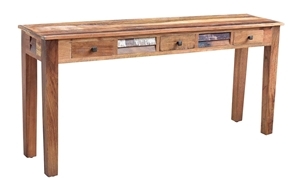 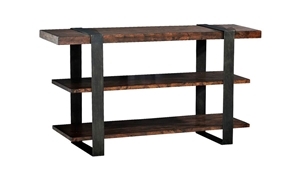 Natural colorings and distressed textures give this 70-inch handmade console table a richness of depth and warm character. 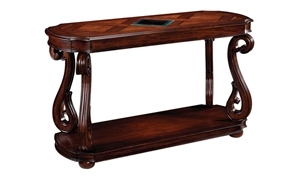 Walnut inlays woven throughout cherry veneers on this solid hardwood console table. 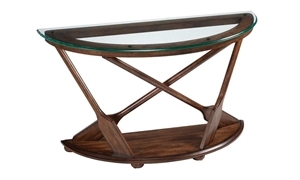 Haynes has such a stunning collection of Console Tables for every home, from sleek modern pieces with chrome and glass accents to traditional pieces, ornately carved, we have the perfect piece for every home.